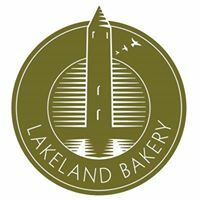 It’s been some time in the making, but our new Lakeland Bakery website has now been launched, and we hope you love it as much as we do! We’ve been working for a long time to perfect our recipes for our range of gluten free and allergy friendly baking mixes and products, and it was important to us that our website contained all the relevant information and the ability to order our new ranges online. We believe in keeping things simple here, and we hope you’ll agree that our website does just that. You can browse our range of gluten free products and baking mixes, and all of our other ranges quite simply in our online bakery store. You either select your dietary requirement, or choose the type of product you want. We understand allergies and special dietary needs very well, and so we know how important it is to those who do have special dietary requirements to ensure they are not buying something which may not be suitable. That’s why each product listed has full details of ingredients and nutritional information, giving you extra piece of mind. So take a look through the new site, check out some of our tasty treats and order something to try for yourself. We’d love to hear what you think of both our website and our exciting new product ranges too!